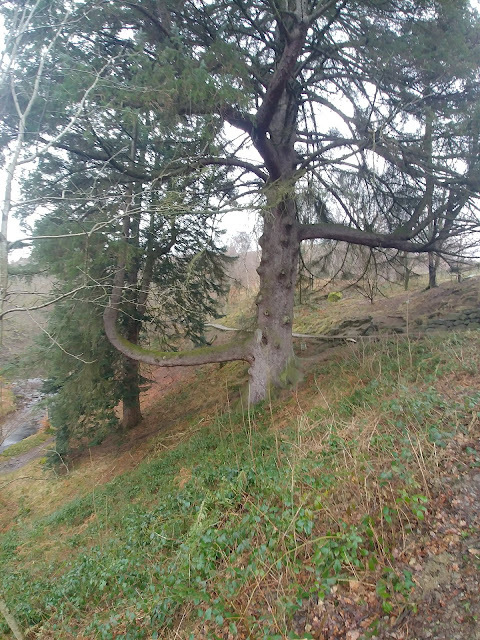 Sitting above the banks of Ullswater, to the NW of the junction of the A592 and A5901 lays the grounds of Gowbarrow Park, owned and managed by the National Trust and home to the stunning Aira Force waterfalls. Nestled in the middle (ish) of Gowbarrow Park is Gowbarrow Fell which rises 481m above the huge expanse of Ullswater and, as the weather was pretty rubbish and along with a walk up to the falls, was to be our "target" for the day. While not a long walk we'd decided that as Aira Force was somewhere we didn't get round to visiting last time we'd have a walk around the grounds and waterfall before heading up towards the summit of Gowbarrow Fell and then continuing the circuit back to the carpark - a walk of around 4 miles. 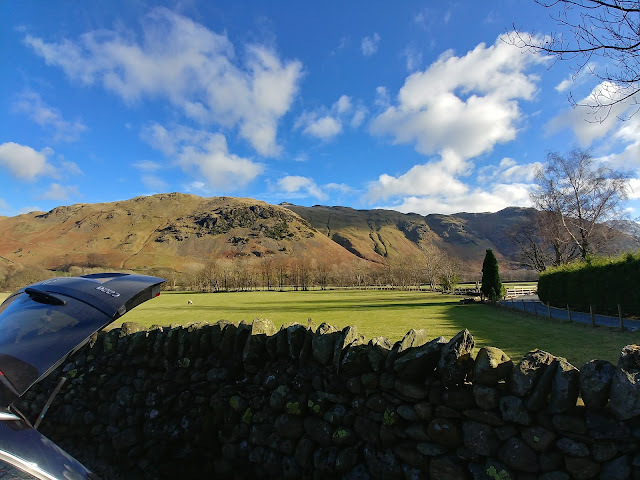 A year on from our last (and first) trip to Patterdale and Ullswater and we were back, to the same place, the same cottage, and today, the same walk! Our first walk to the summit to Place Fell (read about it here) was born more out of necessity than planning and as the weather had cleared on the drive across from North Yorkshire we decided to do the same again. Heading a mile or so down the road from Patterdale village we stopped in the small pull-in (room for about 6 cars) off the A592 at Deepdale Bridge and spent a fair bit of time faffing about getting things into the right bag for the 5 or so miles to the summit of Place Fell (657m) and back again. As my my wife had taken our daughter and the two dogs to her parents in Yorkshire for the week, I'd planned a day off to go and walk with Tom - nothing more than that in mind really, just a walk somewhere. 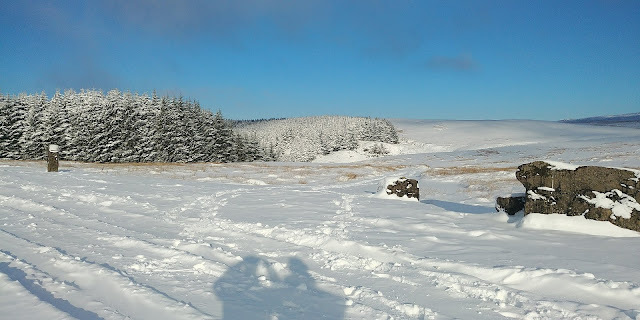 A number of ideas were bandied about; wales (again) Dartmoor, South Downs and even the Forest of Dean to look for wild boar after watching one of the episodes of Hugh's Wild West on iPlayer. 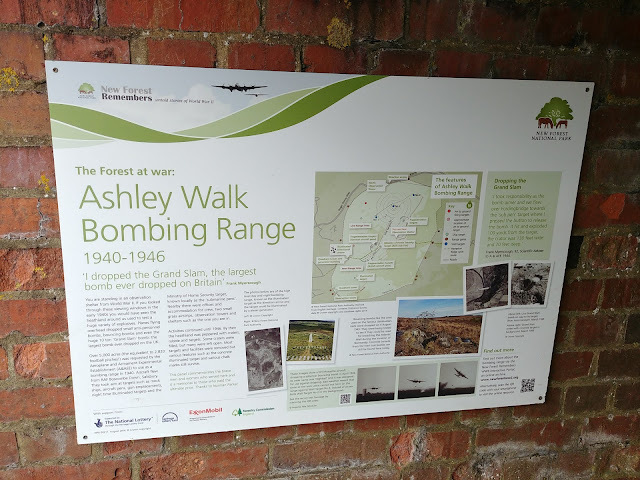 Then, and I can't really remember how I stumbled across it, I remembered about the bombing ranges in the New Forest and thought that it would be an interesting way to spend the day in an area that we both know very well. see a waterfall & take some picturesexplore a cavedo some climbing/abseiling It couldn't have been much more simple than that! There was a bit more planning than I've initially made out, I spent a few hours googling cave systems that didn't require any form of caving equipment and that were open and didn't require a permit/license and also planning kit - I love a kit list! The weather on our planned day wasn't ideal in the South as it was grey and overcast and there had been a fair amount of snow in Wales over the last few days, something that please me immensely as I love the mountains in the snow but made Tom slightly more dubious.